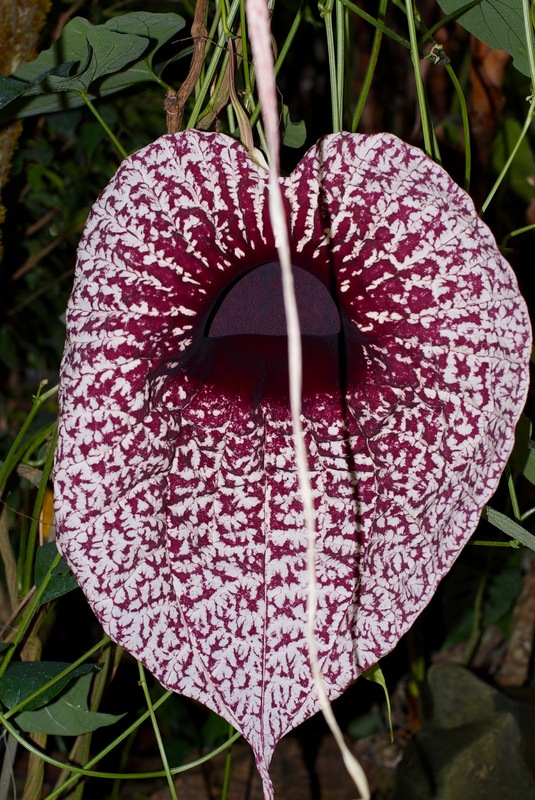 The Pelican Flower is a vine from Central America. 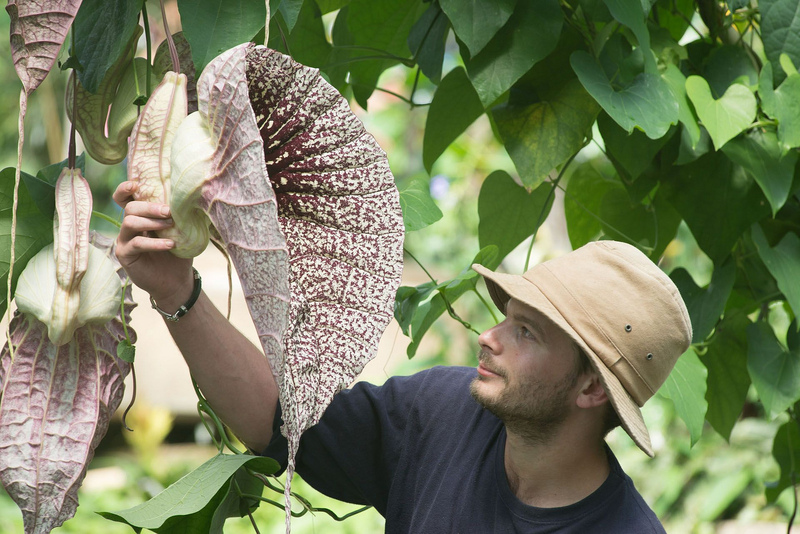 It has great, big, heart-shaped leaves that reach up to 25 cm (10 in) across. 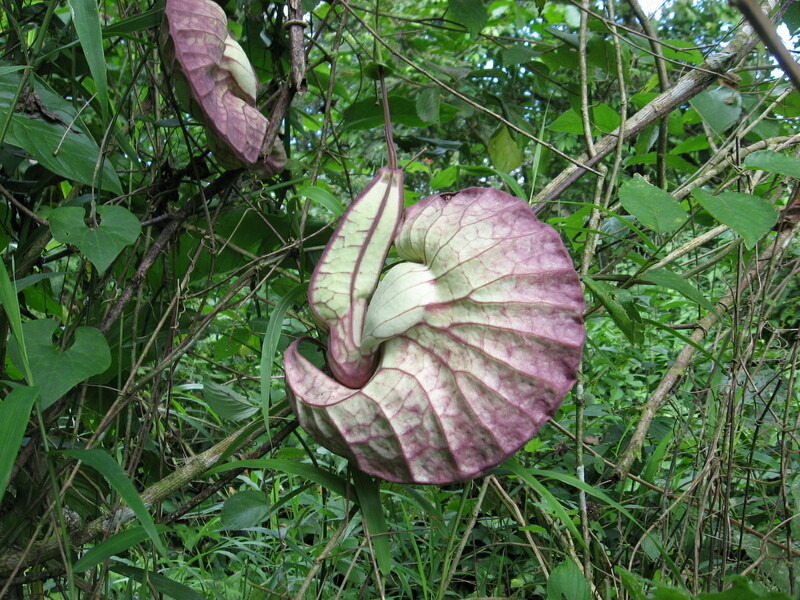 The flowers are also heart-shaped, up to 20 cm (4 to 8 in) across and end in a long, tapering tail that can make them up to 60 cm (2 feet) long. The flower is a sickly, greenish white colour with dark purple veins emanating from a foreboding tunnel which exudes the stench of rot and decay. It's basically the entrance to a sewer set in the middle of an enormous sign saying "YUCK!". I'm not really into sewers. Neither are butterflies, usually. But you know who loves that stuff? Flies, of course! They're attracted to the stench and begin to explore the inner sanctum of the sewer. If you look at a Pelican Flower from the side, you can see that it really does look a bit like a pelican sitting down with its neck all curled up. Or an embryonic alien hanging from a tree. In any case, those flies crawl within the neck of the pelican, directed by hairs that lead them ever onward and prevent them from turning around and getting out. Eventually they reach a dead end and... Shock! Horror! Not a single corpse! And there's no way out! THERE'S NO WAY OUT! The flies are trapped for the rest of the day and night, during which time the male part of the flower matures and drenches the prisoners in pollen. With this job done, the Pelican Flower immediately begins to wither and die such that the flies can escape. The big hope is that the flies won't be enjoying their freedom for long. Hopefully they'll climb straight into another Pelican Flower. They just can't resist that stench! This time they'll be covered in pollen to pollinate the flower. They'll still have to stay in overnight, though. And get drenched in a load more pollen again before they can escape. Oh dear. At least these flowers only bloom for two days. Day One is spent using their stink to attract flies, some of whom will hopefully be covered in pollen. Day Two is cover them in pollen and let them out. 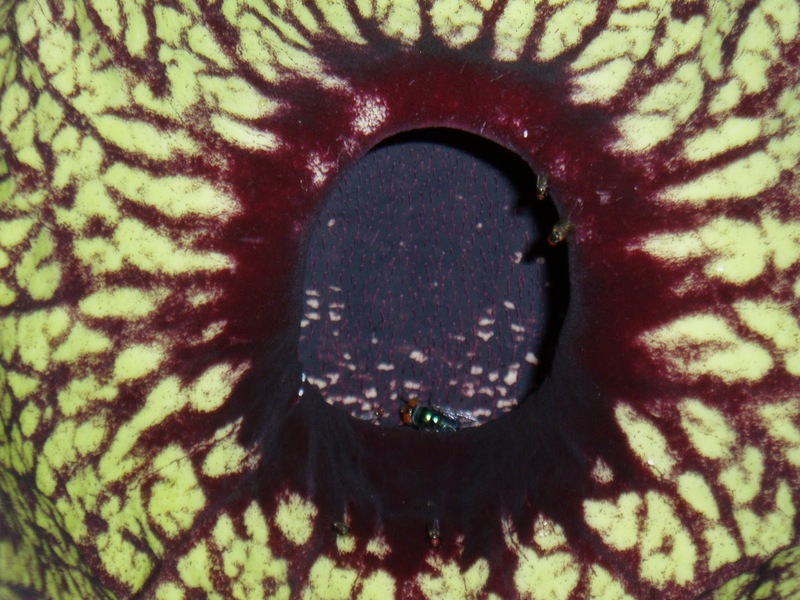 Perhaps one of those poor flies can come back on Day Three and feed on dead, rotting Pelican Flower. Hey! You know one thing that feeds on living Pelican Flower? Butterflies! Swallowtail caterpillars, to be exact. 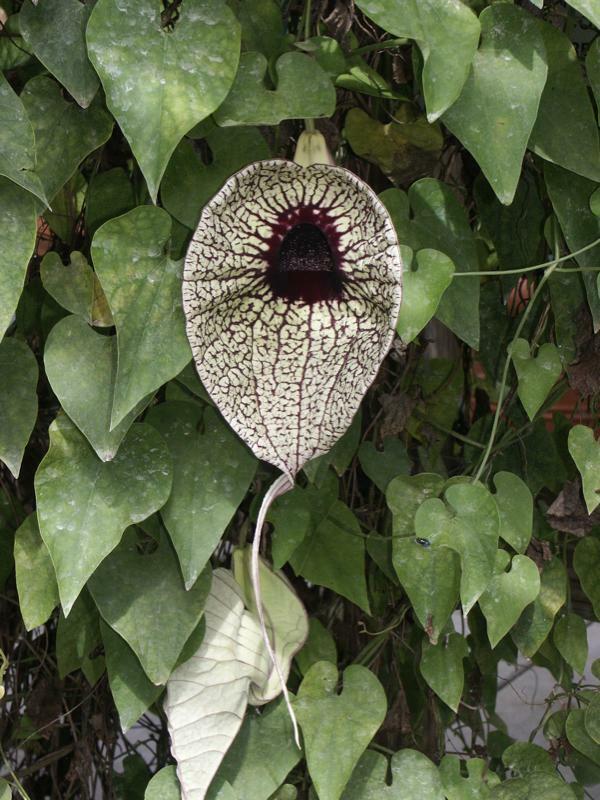 Pelican Flowers, like other members of the Aristolochia genus, are full of all sorts of toxins which protect them from a lot of herbivores. Swallowtails, however, are able to eat the plant, take over the toxins and use them as defence against their own predators. I can't help but feel that the Pelican Flower fell foul of some kind of butterfly protection racket. "Give me your nectar or the leaves get it." I love this plant. I love it because now the thumbnail for this site is no longer a horrible spider. i'd not like the stink, but holy cow that side-view is AWESOME! You know, this kinda seems to be a thing in the animal kingdom (especially insects): takes another animal's or plant's defenses and make it your own. 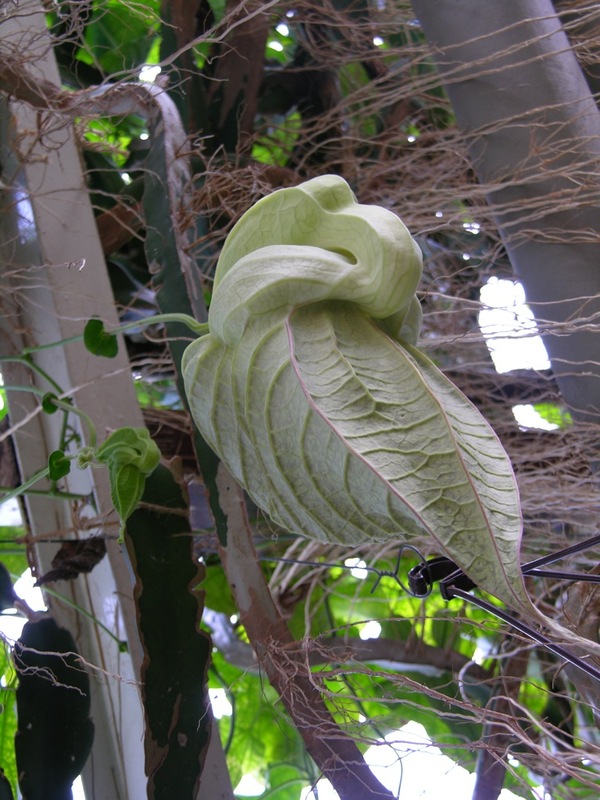 @TexWisGirl: It looks incredibly dramatic, like some kind of giant chrysalis! @Porakiya Draekojin: Yeah! Insects and sea slugs are real experts at that!